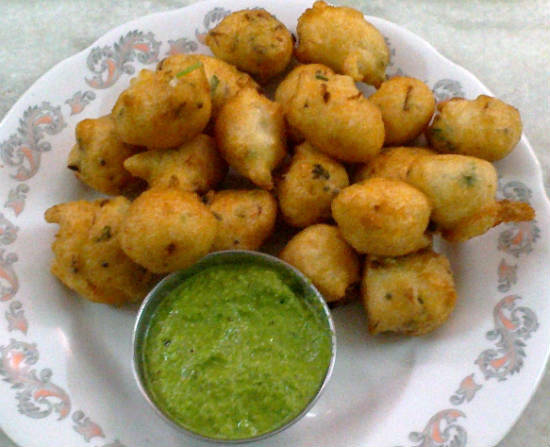 Paniyarams are a popular dish in South India often served as breakfast items or evening tiffins. This is the famous Chettinad style Masala Paniyarams. 1. Soak the rice and dal, separately, for 2 hours. 3. Grind the green chillies and urad dal to a thick batter, adding little water. 4. Grind the rice to a thick batter, adding little water if required. 5. Heat 2 tsp oil in a pan. 7. Add the onions and saute well. 8. Transfer to a large bowl. 9. Add the rice batter, dal batter, coriander leaves and salt. 10. Mix well until thick. 12. Drop small portions of the dough and deep fry in hot oil. 14. Serve hot with chutney of choice. 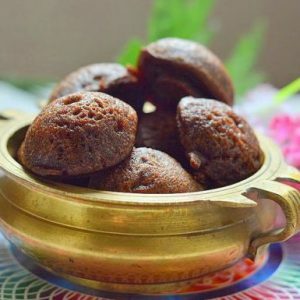 Feel free to comment or share your thoughts on this Chettinad Masala Paniyaram Recipe from Awesome Cuisine.